I kind of wish I knew more about marketing than just what I glean from blogposts, the odd book here and there, and personal experience. Of course, knowing how to sell what people need might not help when I'm offering books that I want them to want. But perhaps if I write what I've found out so far, it might at least help me determine how to move on. First: Have something worth selling. I think my books are worth selling. People who read them, even strangers, tell me they're good. Of course, I'm sure they could be better, and I'll keep working on that 'cause it's what I enjoy. What did I do this weekend? Well, we finally had the Summer Bazaar at our community center, so before the weekend I finished printing bookmarks, greetings cards, business cards, 2011 calendars, mini-books of drabbles and a rainbow of poetry books... Then on Saturday morning, bright and early (but not necessarily awake) I fell over in the parking lot. I spent the day manning my stall while trying to make sure my chin didn't start bleeding again, and reading the last Twilight book, Breaking Dawn, which I'd found while shopping for paper that wouldn't bleed printer ink on the calendars. I paid $20 for the stall and made $15. But I did finish the book. On Sunday, feeling bruised and sore, I went to church in the morning, shopping in the afternoon, and in the evening read my brand new copy of Mockingjay, the last in the Hunger Games series. 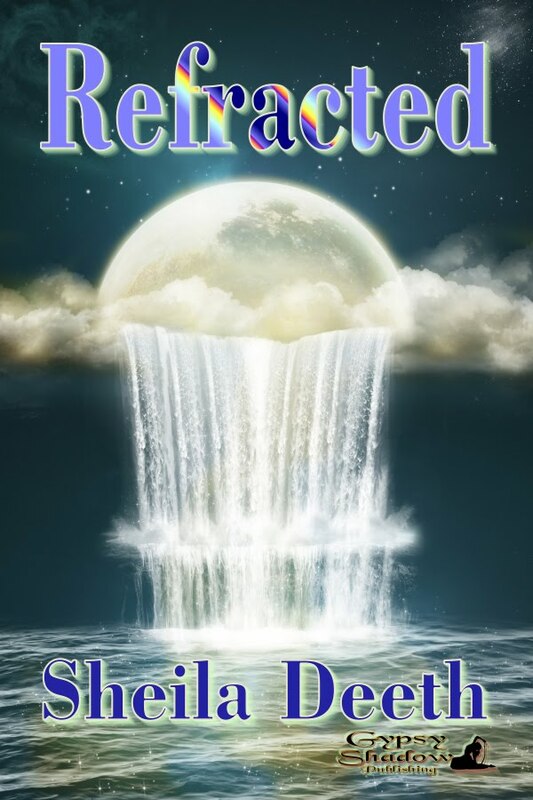 My first review of Refracted, my first real book--it's real because it's "really" published, as opposed to all those self-published ones; but it's virtual because it's an eBook and hasn't been printed on paper. Still, computer screens are real. So, yeah, like I said, my first real review of my first real book, and it's published here at http://aubcherlis.blogspot.com/2010/08/winner-announcement-and-new-ebook.html, so please go over there and look! Aubrie Dionne is one of my favorite writers, and her Seasons of Fantasy eBooks were my first introduction to Gypsy Shadow--I really enjoyed them. Meanwhile I'm racing to beat that next Gypsy Shadow contest deadline. They have such great book cover pictures for prompts. 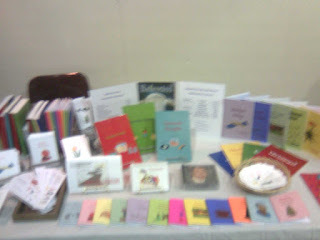 And there's the local summer bazaar on Saturday, so I'm trying to print off lots of home-made books to put on my stall. If you happen to be roaming near Portland Oregon this weekend, contact me. I'd love to see you there. It's the longest drive I've ever done entirely on my own--Salt Lake City, Utah to Portland, Oregon. I decided to make sure I stayed awake by stopping at every rest area and view point. ... and gluten free granola bars definitely helped. Utah's hills and mountains are always beautiful. Oregon's eastern valleys are separated by picturesque passes. But Idaho... One thing I learned is that Idaho is wider than it looks, and emptier, and its plains go on forever, and the gaps between its rest areas are big. Still, perhaps it just suffered from lying between destinations. but provide suitable entertainment and refreshment to the reader. I think September must be coming soon. The stores all carry signs saying "back to school." The house empties out. The leaves start to turn... But I'm sure it was still May last time I looked. May... That's when two sons graduated on the same day. We went our separate ways to celebrate then came home again. My weekend's absence from virtual interactions would surely be okay; I'd soon catch up. Then our oldest son moved to Texas and we joined him for the drive (real-life social interactions replacing the virtual for a while). The road trip was great and I'd surely catch up on my networking in June, till July came too soon. A few days vacation; my eBook accepted; edits... excitement reigned. Our youngest son, recently graduated English major, has a job starting next week. So now we're packing up his life into the back of a car, and some obscure impulse led me to see if all his boxes would fit into the trunk. It's a two-day drive to his new "home" and I wanted to minimize how much stuff would be visible in the car. There's a computer, of course, monitor, speakers, printer, boxes of books (English major), guitar amp (musician too), numerous guitar pedals, new comforter and sheets (mother's son, I couldn't let him leave home without them), more books, etc... And the amazing thing is, everything fit, perfectly, just like a jigsaw with its pieces falling into place. There's something about rainbows - something magical that makes me view them always through the eyes of a child - something that fills my mind with symbols of unity in diversity, faith in science, beauty in logic, hope in despair... all those falling droplets, all those splitting rays... and soon my youngest son will be going away. He's leaving home for his first grown-up job, first apartment, first time filling in forms on his own. My thoughts wander refracted into a rainbow all their own. Hold him tight enough to let him go. Love him well enough to set him free. Care deeply enough to trust. Then trust enough to pray. One long phone-call, much cutting and pasting and editing of firewall permissions, a bit of uninstalling and reinstalling, a few crossed fingers, time for a quick cup of coffee while the machines restart again... and the very kind lady at HP tech support has got it all fixed up and running beautifully. I can print and scan successfully from my nice new Windows 7 machine. My son can print and scan from his slightly less new Vista machine. And the printing comes out formatted right, margins where we want them to be, book-pages ready to be folded in half and stapled. I'm feeling very happy. And the lady at HP deserves several gold stars. Thank you HP. It's a puzzle working out why buying a new computer means my printer won't work anymore. But the printer's a wireless HP and the computer has Windows 7. Apparently HP drivers don't work properly beyond Windows XP - at least, not if you want to go wireless, and not if you want to use double-sided printing. Suddenly my printer becomes inaccessible whenever I switch it on (because the IP address might change). My scanner won't work (because the software "fails to install"). And my nicely formatted books now have be hand-fed page by page into the printer because the new (not XP) drivers scale the image and add extra margins at inconsistent sides of a landscape page (making the middle shift in opposite directions so you can't fold the page). Aghghghg! "Shame! This is your fault only," Amma yelled, shaking her fists. "You godless girl, you have weakened my family, my son's caste lost because of you!" "You're the one! You won't be satisfied until you've destroyed everything, smashed it to bits with your tiny bare feet!" Alice pointed to Amma's brown toes. Amma looked down and flexed them, the war suspended for a second until she ran to the kitchen. Pulse throbbing at her temples, Amma snatched a pair of pliers to her heaving chest, hiked up the hem of her sari, and scurried upstairs. Going to interview author Cheryl Snell tomorrow! That reading journey's not been going so well. I thought perhaps old age was slowing me down, or the hot summer. But a friend suggested it was just gravity pulling the blood from my head, so maybe I'll lie down... with a good book of course. Anyway, I'll post a list of my latest reads and reviews in a moment. 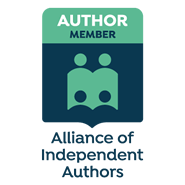 In the meantime, I just want to announce that, after enjoying my interview with author Mary Russel so much, I'm hosting another author interview, this time with Cheryl Snell, author of Shiva's Arms.